I have been trying, unsuccessfully, to use IPv6 with Voyager (both DHCPv6 PD and SLAAC). I am hoping someone is using the ERL or pfSense with Voyager, and can send me details of how their system is configured (WAN settings and any additional firewall rules). I have followed @michaelmurfy's detailed IPv6 ERL guide, without success. 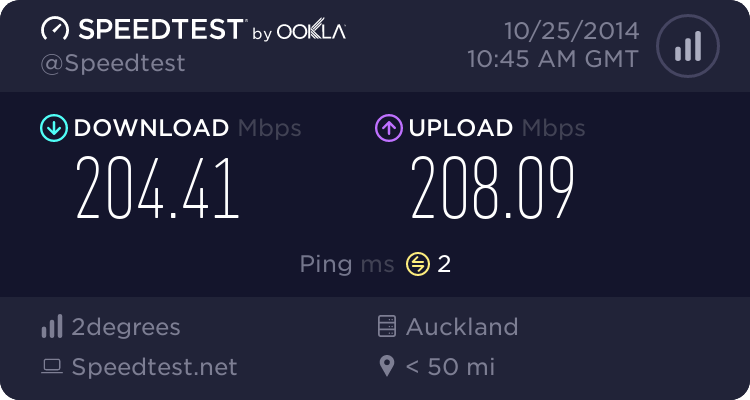 I had issues with IPv6 during the Bigpipe trial, where everything worked (at least with IPoE and pfSense) up until my connection speed was changed. I have confirmed with Chorus that my ONT is not one of those affected by the IPv6 DHCPv6 PD issue, although that issue shouldn't prevent SLAAC from doing its thing. Voyager supplies a Huawei router which requires only a few trivial steps to set up IPv6, but I'd rather not buy or rent another router just to confirm where the problem is occurring. Have you confirmed that @VygrNetworkMonkey has enabled IPv6 on your connection? I've got Voyager IPv6 running on a USG with /56 DHCPv6 and prefix delegation working. It should work no problems following my guide. I requested IPv6 be enabled via support (XHO-292-78159) and have been sent address details. I was unable to get /etc/radvd.conf populated on the ERL, even after completely removing existing IPv6 settings as per the guide. Looking over your connection details, I can see IPv6 is configured as expected, and IPv6CP is 'opened' - which tells us it's all hunky dory on the BNG. I don't know anything about ERL or pfSense sorry - so I cant assist you on that side. Thanks @VygrNetworkMonkey for confirming things appear to be working correctly from your end. I have again tried following @michaelmurfy's guide, with no apparent success. Can you see any obvious problems? The only IPv6 address I can see is fe80::191f:893f:4613:ce2b/10, assigned to the PPPoE connection. The /etc/radvd.conf file has also not been created, which I believe will occur after the DHCPv6 PD request. For the purposes of testing, I didn't enable any offloading. That does look correct and in line with the configuration I have got. Could you please send me your /config/config.boot file? I switched from VDSL to Fibre this week, and IPV6 disappeared with no changes on my router (again following @michaelmurfy's guide). Hopefully this comes right with the updates from Chorus coming soon (per the thread linked). It appears to attempt to connect IPV6, but doesn't pass it through. I can pass along my config if another data point is needed. We can only hope the update fixes this issue... in addition to trying various ERL configurations, I've spent many hours (as time permits) looking at countless pfsense issues, including driver bugs, race conditions and other problems, trying to get IPv6 back again. I assume you are assigning a static address on your eth1 interface? Other than that, my Dashboard display is almost identical to yours. I was also informed that my issue looked like the ONT issue, but in my case the problems started when my speed was changed, not moving from *DSL to fibre, although now that I think about it, I did swap ONTs when I joined Voyager (I have two). I contacted @BMarquis (Chorus) and it appears the IPv6 issue applies only to certain ONTs, and neither of mine are that type. Apparently the problematic ones have a QR code on the front. I am assigning a static to my eth1, I reset the router entirely just to make sure it wasn't something weird in my original config before contacting voyager just to make sure it wasn't something goofy I had done, but there had been no changes to the router at that point. I just had a glance at my ONT and it does have a QR code on it, so it seems to be one of the ones affected. I look forward to a firmware update from Chorus. So it seems my issue is most likely different to yours. Just a tip (and same applies to you @taubin) ensure you've disabled MSS clamping and set your MTU on your interface connecting your ONT to 1508 and your PPPoE interface to 1500. Reboot after this. I've taken a look at the OP's config and can't see anything odd. Appears he is just hit with the Chorus bug. For what it is worth it doesn't matter if your ONT has a QR code on it or not as mine isn't affected. It is instead dependant on location. I'll take another look later on when I'm not just on my phone and grab a version of the config known to work on Voyager IPv6. It is the exact same as 2degrees anyway so my guide does work (and I've done it). michaelmurfy: Just a tip (and same applies to you @taubin) ensure you've disabled MSS clamping and set your MTU on your interface connecting your ONT to 1508 and your PPPoE interface to 1500. Reboot after this. I've tried this twice on my Voyager connection, most recently following your recommendation yesterday, and on both occasions connections became unreliable. It could be a coincidence, but that's something to look in to next week. Back to pfSense for the weekend to appease the family, since the ERL is missing a chunk of necessary configuration after the reset. Appears he is just hit with the Chorus bug. For what it is worth it doesn't matter if your ONT has a QR code on it or not as mine isn't affected. It is instead dependant on location. Hopefully! I can't say I'm at all impressed with an at least six month (as planned) delay diagnosing and fixing the issue, keeping ISPs and users in the dark about what is happening. I've wasted many hours on this issue, reading, posting, switching routers and configuring. Then there is your time for which I am most grateful (this applies to everyone, but especially michaelmurfy), and helpdesk time - Voyager has been very thorough with their support. It has also cost me a bit of cash switching ISPs, but at least I didn't invest in new hardware, which I would have if I'd not previously had IPv6 working here. I've tried this twice on my Voyager connection, most recently following your recommendation yesterday, and on both occasions connections became unreliable. The same thing is happening with mine. It's even worse when I disable mss clamping, it makes it even less reliable. Check your firewall settings. It might be blocking ICMP packet too large notification packets. I'll have a look at my firewall settings tomorrow when I have a chance, thanks for the heads up! Strangely, IPV6 is working on my system today. We had a power outage last night for about 10 minutes and when it came up, everything worked fine over IPV6. No changes on my end, so it may have been working and just not routing properly before, with the PCs needing another reboot or something. Strange but I'm not going to knock it. Aredwood:Check your firewall settings. It might be blocking ICMP packet too large notification packets. I'm not sure how the system detects if large MTU (RFC4638) support is available on the WAN, but the documentation for pfSense indicates it falls back to a lower value if not supported. Setting the MTU to 1500 for PPPoE correctly bumps the values up to 1508 for the Ethernet and VLAN interfaces (em driver), but the MTU remains fixed at 1492, suggesting there isn't end-to-end support. If that's the case, that may explain why the ERL misbehaves. @Taubin... I'd not risk rebooting, just in case. Back in the early days with Bigpipe, I did once in a while get an address via PPPoE (this is why I was looking in to issues such as race conditions and the order interfaces were brought up in pfSense). I didn't get 'reliable' IPv6 until I switched to IPoE, and then suddenly, it was gone.